Whenever I'm in Japan, I like to pick up a couple of classic Game Boy games from Super Potato, or one of the other brilliant retro stores that are over there. This year was no different, and I wanted to briefly muse on the pick of the bunch this year; Penguin Wars. I discovered Penguin Wars through my arcade table, as the original arcade version is installed on it, but I'd heard that the Game Boy version was actually pretty neat in its own right, so was well worth checking out. At Super Potato, it was going for about $5, so I wasn't going to turn that down. Penguin Wars is an exceedingly simple arcade game. It's a 1 vs. 1 contest in which you and your opponent toss balls at one another across a table. You each start with five balls, and the goal is simple; at the end of a minute have more balls on your opponent's side than yours. 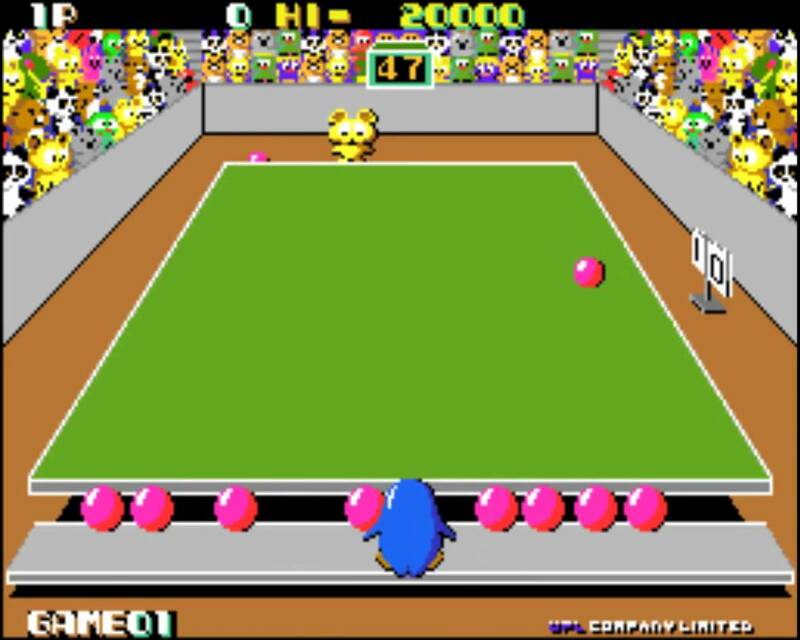 It's even better if you can get all ten balls on your opponent's side, because that's an instant victory then. Win two out of three matches and you win the game. 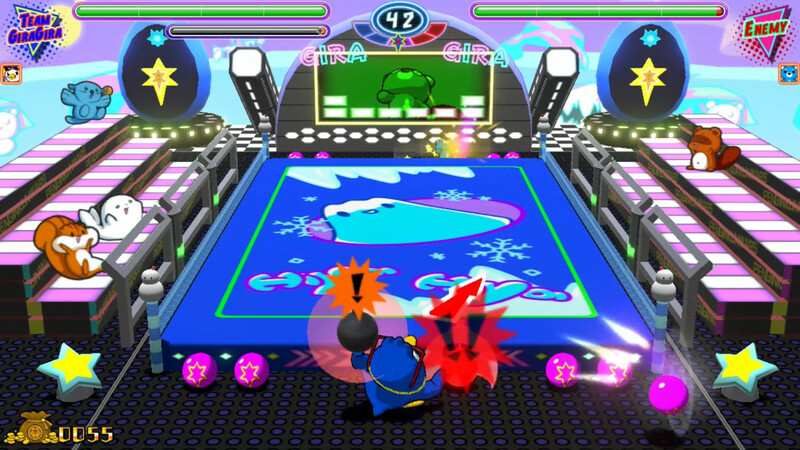 The skill in Penguin Wars is in hitting your opponent. If you do that, they're knocked out for a few seconds, giving you precious time to toss more balls down their end. The only other mechanic is the ability to wind up a shot. This hurls the ball down the table really quickly (making it difficult to dodge), but with the risk that if you wind up for too long, you trip and knock yourself out for a few seconds. There are a number of different cute animal characters to choose between, and each of those have slightly different abilities. The rat, for example, is fast, but throws the balls slowly. Whichever character you choose you need to play against each of the other characters. Beat them all, and you win the competition, before getting a chance to play them all again with a higher difficulty setting. Aside from an additional two-player mode, all of the above is really all there is to Penguin Wars; it's an endless stream of matches, one after another, in which you're competing against the same opponents until the escalating difficulty curve finally gets to be too much and you end up on the losing end of the match. At which point you get to take a look at your top score, and see if you can beat it the next time around. I find that playing old Game Boy games like this to be genuinely refreshing. We're all so used to game developers throwing a thousand features and alternative gameplay modes into their work, complete with lengthy narratives, professional voice acting, and other "cinematic" elements that it's easy to forget that once upon a time it was enough to have a focused, singular experience. It wasn't that these old Game Boy games were just primitive in terms of the technology they used, they also did so much less, and because of that the actual experience was razor-honed and focused. Take for example the new(ish) Penguin Wars available on Nintendo Switch. It plays well enough, but it also tries to cram narrative and alternative gameplay modes into the basic action in order to meet the perceived arbitrary minimum level of "content" for a game to offer "value for money." As a result, there's less of a sense of focus on the simple competitive activity that's meant to be at the heard of Penguin Wars. It's so spread it loses a bit of its soul. The thing is, if the core concept is strong enough, then the additional variations and whatever that modern games throw at players only really serve to dilute the core; to give players more modes to play is to guarantee that they'll like some of them less, and that in turn can sour some of the experience of the other modes. There's a lost art to making a game endlessly replayable and enjoyable efficient in its simplicity; it's what really drive arcade games, Game & Watch units, or Game Boy titles when the developers had so little power to work with. Remember when a sports game had two play options - a tournament mode and a one-off match? Now sports games have menus that move across multiple pages, and unless you're a real die-hard, willing to put hundreds and hundreds of hours of play in, you're not going to play most of those modes. Remember when a fighting game gave you the choice between Vs and Arcade play for single player? Now fighting games have dozens of different menu options. Of course, overall, the ongoing development in the games industry has been a good thing, and the improvements that technology and the like have brought to games have been for the better. 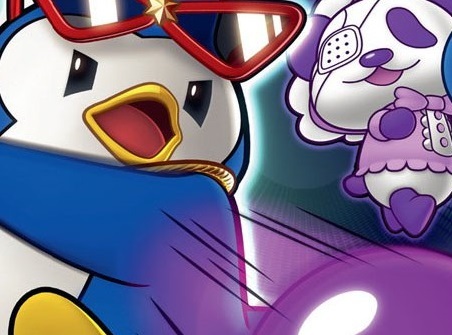 Penguin Wars certainly plays better in its Switch incarnation, with better physics and so on than the Game Boy was ever capable of, more dynamic movement, and more detailed personality in the characters and visual design. The disco vibe that that particular game gives off is really delightful, entertaining, and completely fitting for Penguin Wars. But for all that, I keep buying Game Boy games when I go to Japan - and I filled my 3DS up with Game Boy Virtual Console titles - because the simplicity of them is such a charming drawcard. Call it "quaint" if you'd prefer, but I certainly think there's something of value in those games that can resist the urge to throw stuff at people for the sake of it.